As our technology-driven society shifts away from traditional cable TV toward the myriad options made possible by the Internet, the nature of advertising is being forced to adapt. Set-top boxes, tablets, and smartphones are increasingly taking over as access points for content consumption. Seeking to break traditional television’s dominance over advertising budgets, Facebook is poised to bring TV-like commercials to the world’s most popular social network. According to anonymous sources who discussed the matter with Bloomberg, the 15-second video advertisements will sell for up $2.5 million a day and are scheduled to show up in users’ News Feeds later this year. The video ad program was originally slated for a July launch, but AdAge is reporting that commercials won’t debut until mid-October. The advertisements will target “huge demographic swaths, like all men or women between 18 and 34, or even all Facebook users in the U.S. who signed into the service on that particular day,” said AdAge. The move could prove to be extremely lucrative for Facebook – according to a report from eMarketer, advertisers will spend more than $4 billion on video ads this year. At present, Facebook boasts 1.15 billion members, with 61 percent of them logging into the site daily. “Every night, 88 million to 100 million people are actively using Facebook during prime-time TV hours in the United States alone,” said Facebook’s Chief Operating Officer, Sheryl Sandberg. News Feed ads would appear up to three times a day on a targeted user’s page. The 15-second videos will play automatically when a user scrolls over them. Audio won’t be activated unless a user clicks on the ad. Unless they are using a TV-recording service like TiVo, most traditional tube-watchers sit through commercial breaks. The Internet makes it easier to skip or ignore ads than television does, which could create some potential headaches for Facebook – even Google is changing its YouTube advertising system accordingly. “Everyone else who is in the business of selling TV-like ads is having trouble matching the stuff they want to sell to things people want to look at on the Web. Or getting people to actually watch the video ads when they do find them … Google’s YouTube and other sites are now moving to a new ‘cost per view’ pricing scheme where advertisers only pay for video ads if users actually watch them,” said AllThingsD. While Facebook is sure to generate a lot of profits from advertising, the company could be walking a tightrope as far as user satisfaction. According to DailyFinance, a report from the American Customer Satisfaction Index ranked Facebook dead last among other online media sites in regard to user satisfaction. 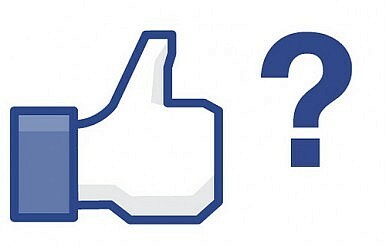 The report stated that 27 percent of users surveyed complained that ads are ruining their overall Facebook experience. But with Facebook’s incredible dominance of global social networking and the sheer influence of the site on many users’ daily lives, it begs the question – where could unhappy users even migrate to, without losing so many digital connections, photos, and the ability to instantly keep in touch with just about everyone they know?